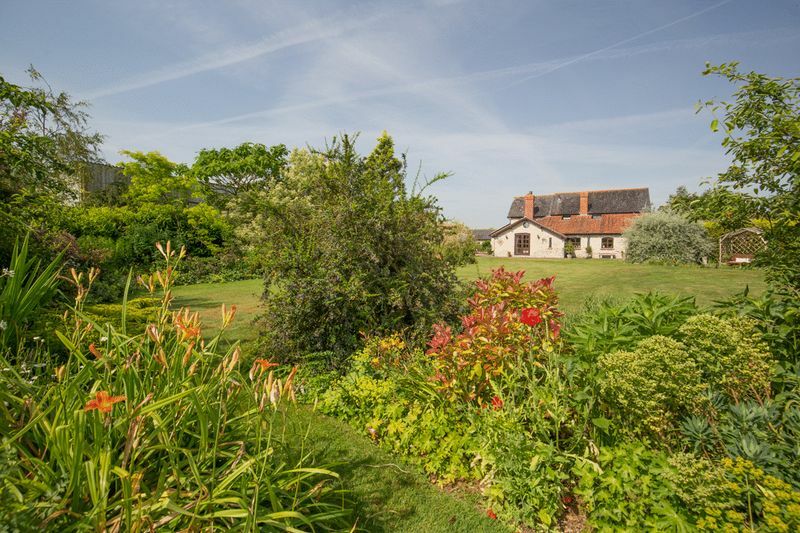 Formally a barn, Shute House is over 250 years old and was sympathetically converted in 1995 into an attractive family house set in 1.5 acres of beautiful mature gardens. 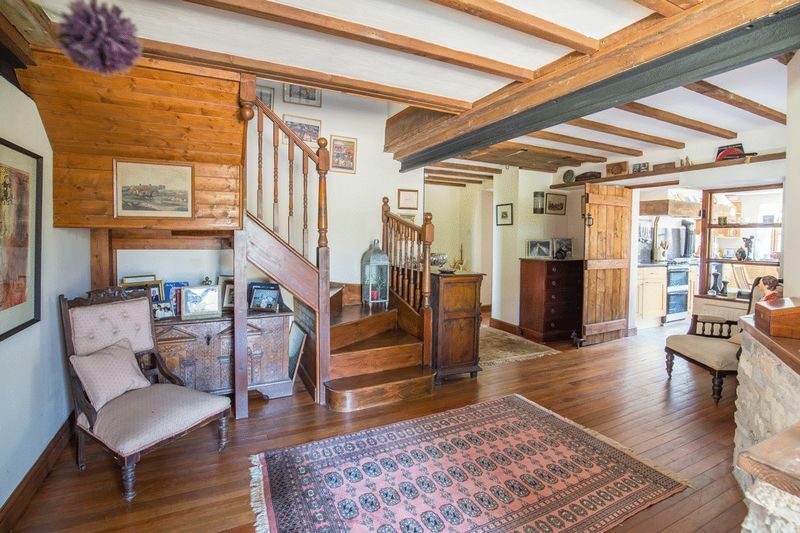 Many of the original features have been retained, with A frame and exposed beams, original shute doors in ceilings and even part of the old railway line. 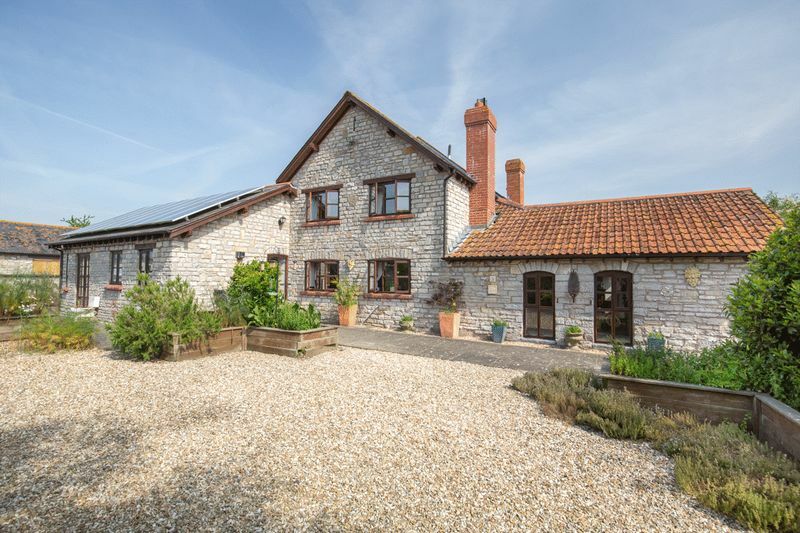 The house is mainly laid out over two floors and is approached via an old farm courtyard, with an attractive gravelled drive way to the side of the property. 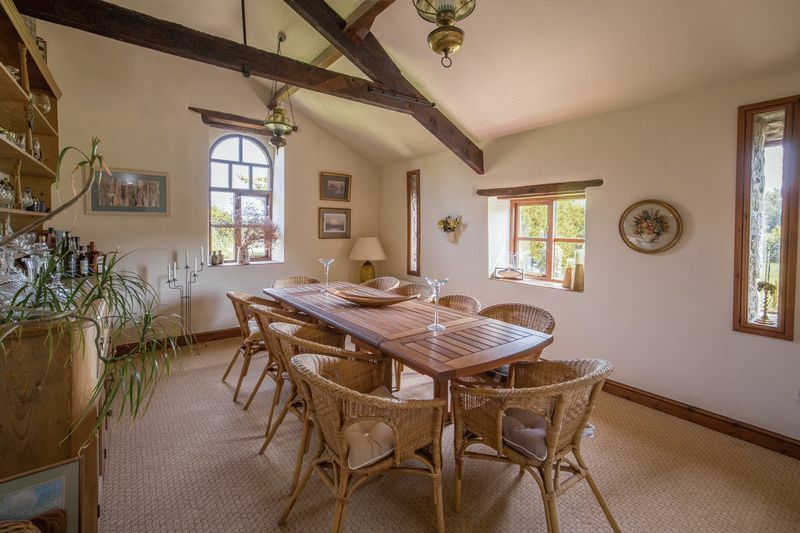 There is a large reception hall with a solid wood floor that leads to three further reception rooms and the kitchen – an attractive wooden staircase also runs to the first floor. 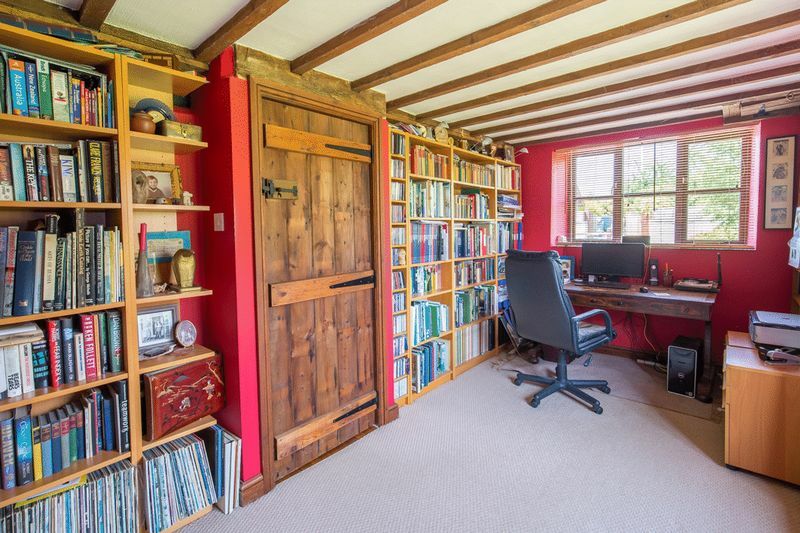 The cosy office has built in bookshelves and fitted carpets, whilst the generous dining room features high ceilings with an original “A frame” beam and garden aspect. 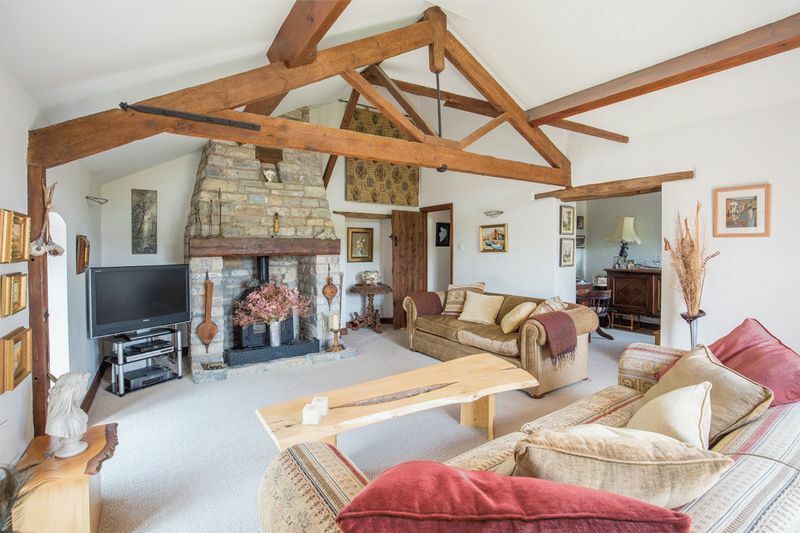 The sitting room also has exposed beams and a wood burner set into a large stone fireplace. 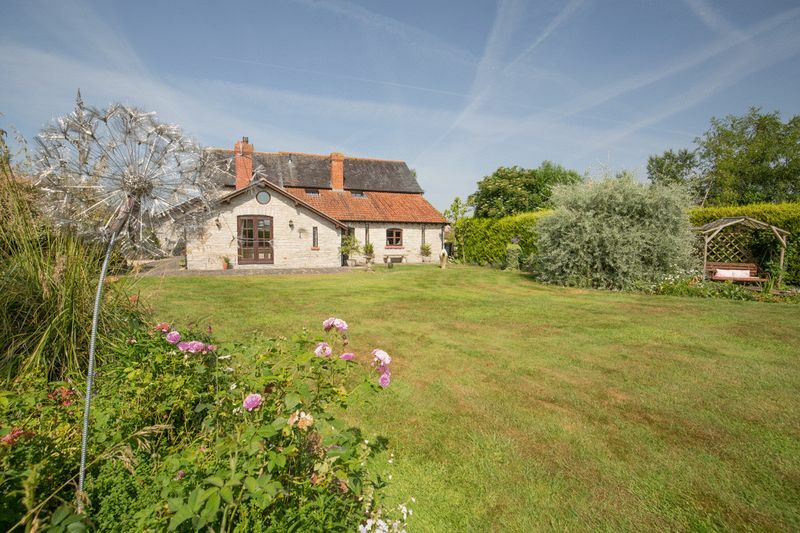 Attractive french doors lead out onto the garden beyond and there is a small but very useful study off the main room. 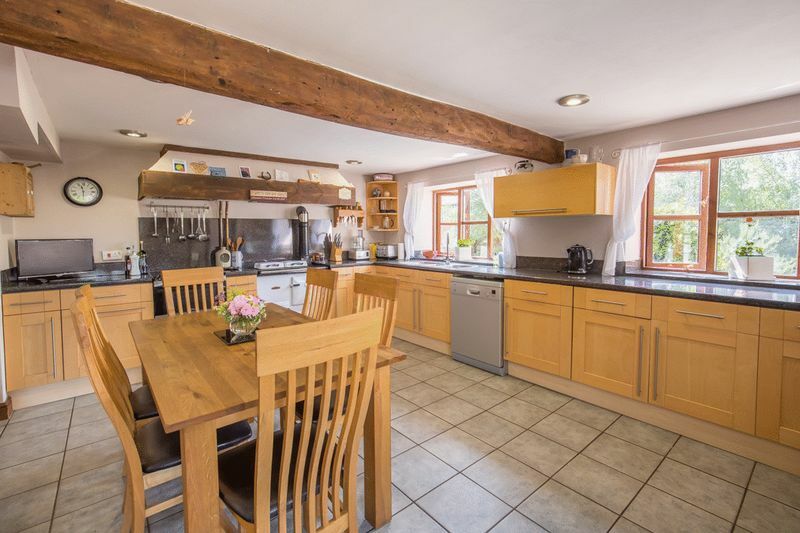 The spacious kitchen/breakfast room is at the heart of the house and has fitted units, a Rayburn (which heats the hot water) and an adjacent, convenient, walk in larder. 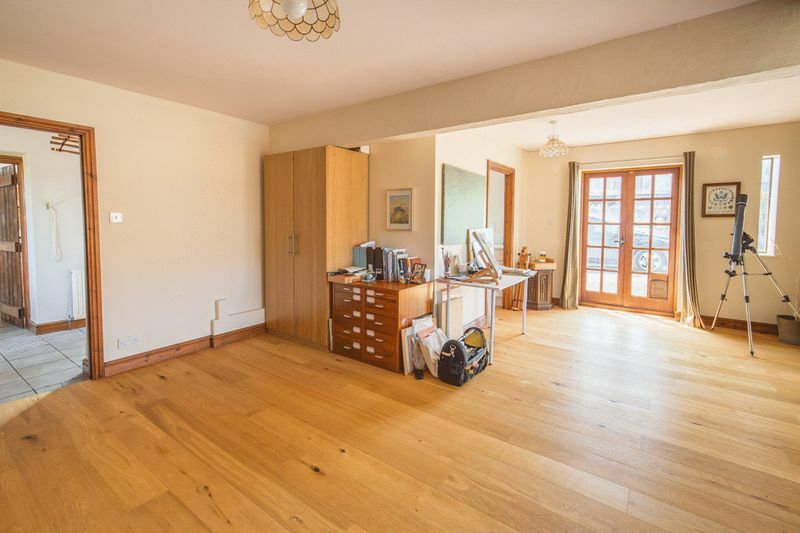 The downstairs loo and utility room are off the kitchen and lead to the useful and generous space currently used as a studio, but formerly was a granny annexe. This could be used for a variety of purposes. 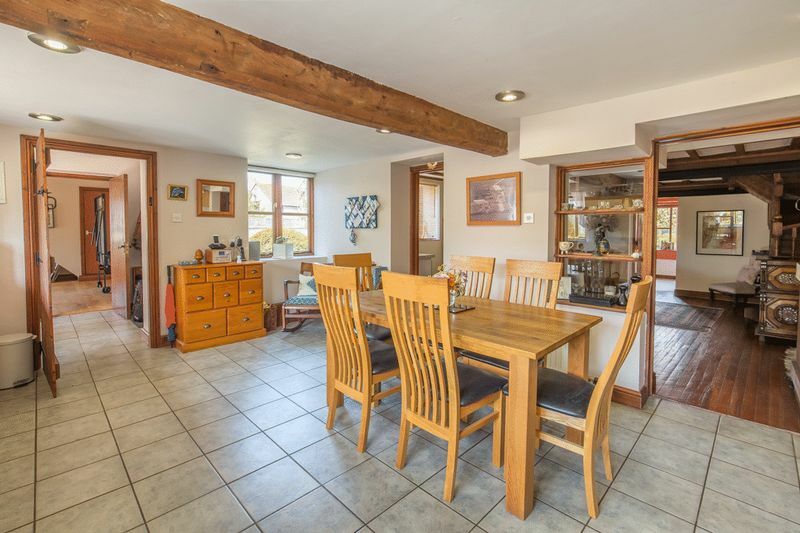 It has its own entrance, a bathroom (with walk in bath) and stairs to a similar sized loft on the floor above, so could become a self-contained unit if required. 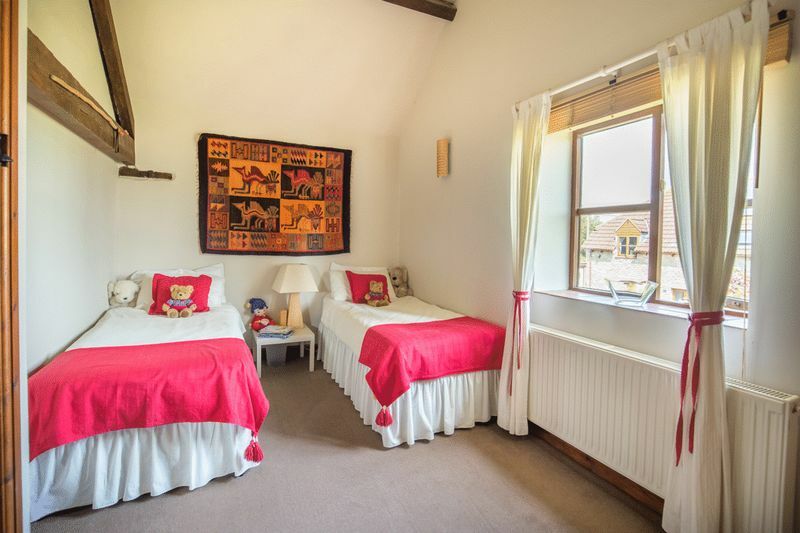 On the first floor, there are three good sized bedrooms, one with en suite, with a corner shower unit and a further family bathroom. 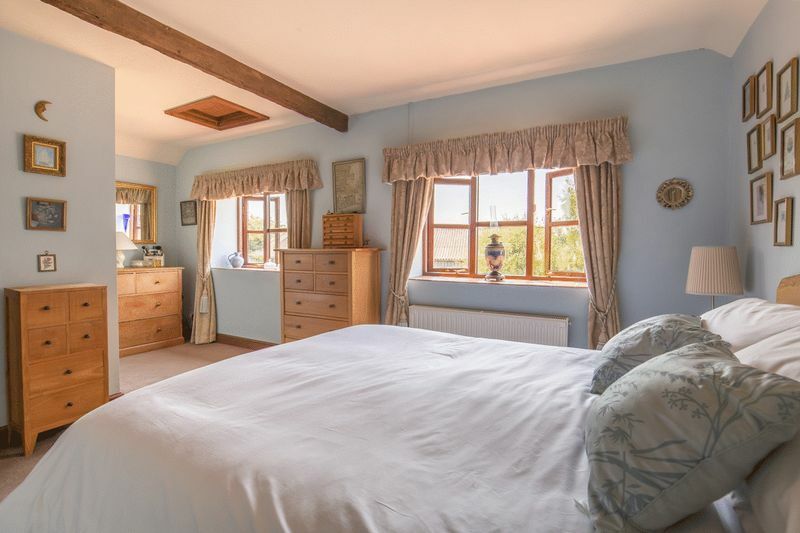 There are exposed wooden beams and fitted carpets in all these rooms, and built in tongue in groove cupboards in the master bedroom. The bathroom has a standalone bath, with shower over, and modern basin and taps. 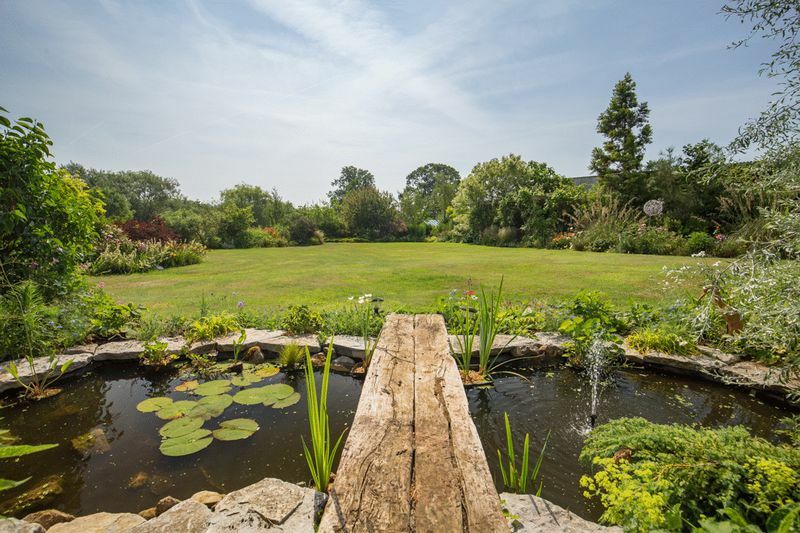 The property sits in 1.5 acres of very pretty and peaceful mature gardens with various bedding and seating areas and a variety of water features. 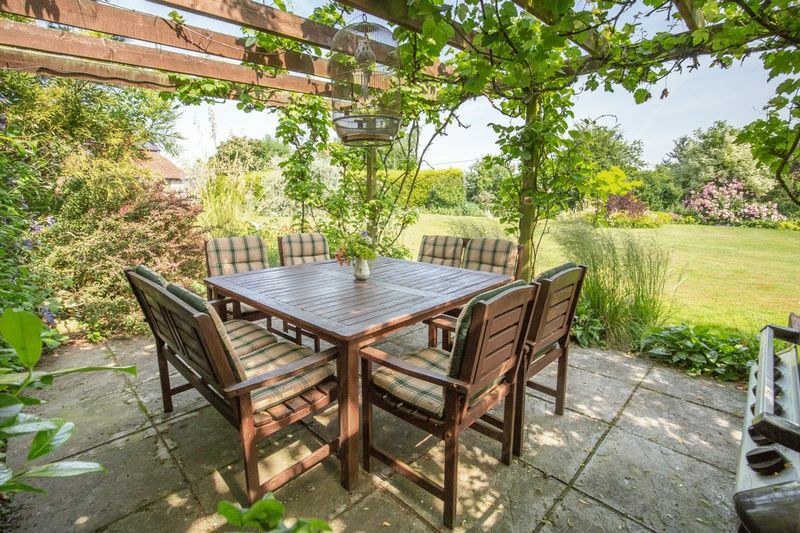 There is a barbeque area with a terrace shaded by a vine clad pergola, ideal for long summer evenings. 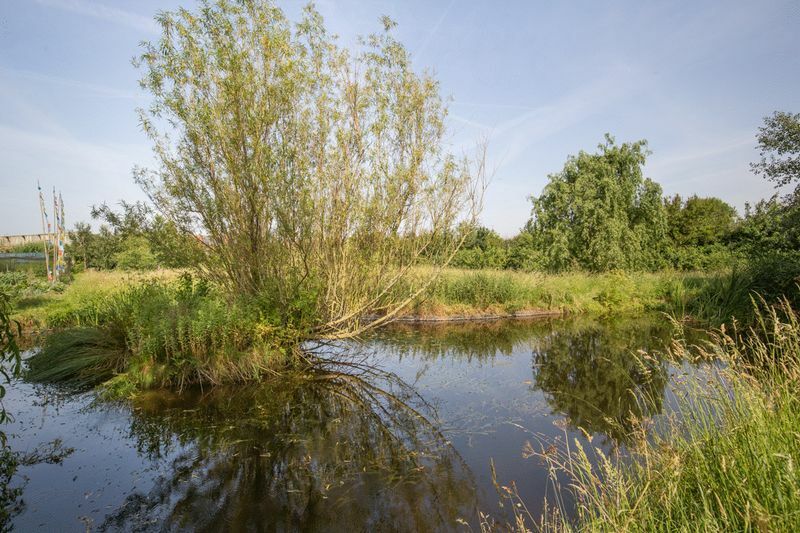 Some of the garden is flower meadow with a large nature pond. Additionally, there is an organic vegetable plot, small orchard, green house, fruit cage and chicken house and run. 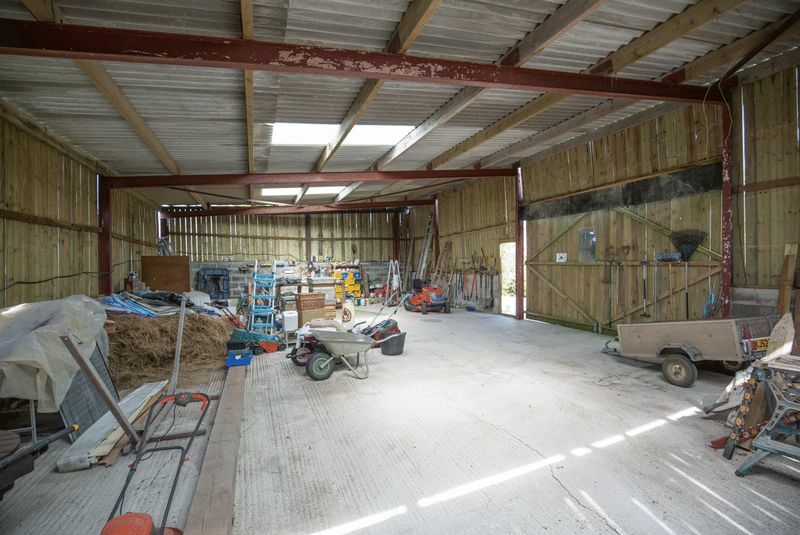 Running alongside part of the gardens is a 144 sq metre barn, currently used as storage but could be used for a variety of purposes, subject to planning. There is ample parking for several cars to the side of the property. Solar panels have been installed and these bring a feed in tariff in excess of £800 per annum as well as free electricity when the sun shines! 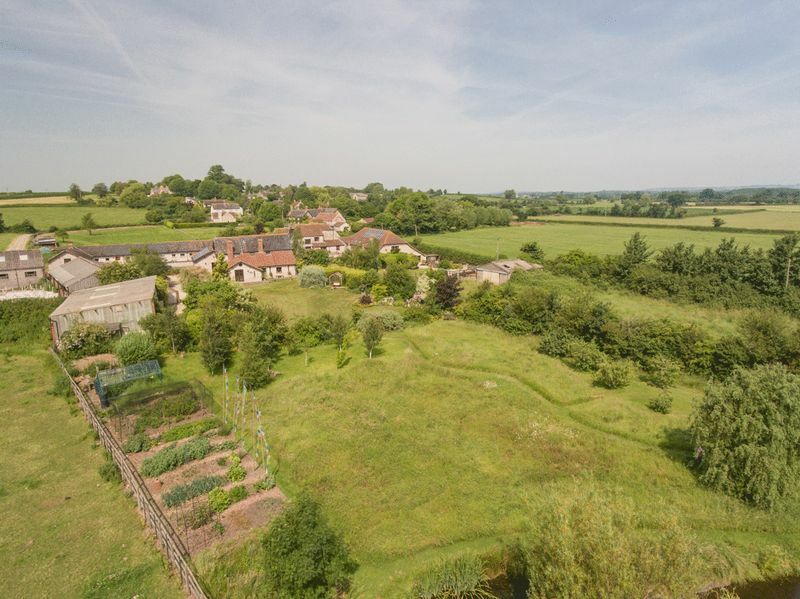 The small parish of North Barrow lies on the south bank of the river Cary 4 km, south-west of Castle Cary and is one of the six pilgrim villages that were on the ancient pilgrimage route to Glastonbury. It has a modern village hall where regular events (pop up pub, barn dance, music etc) are held. A newly installed play area is very popular with the youngsters. 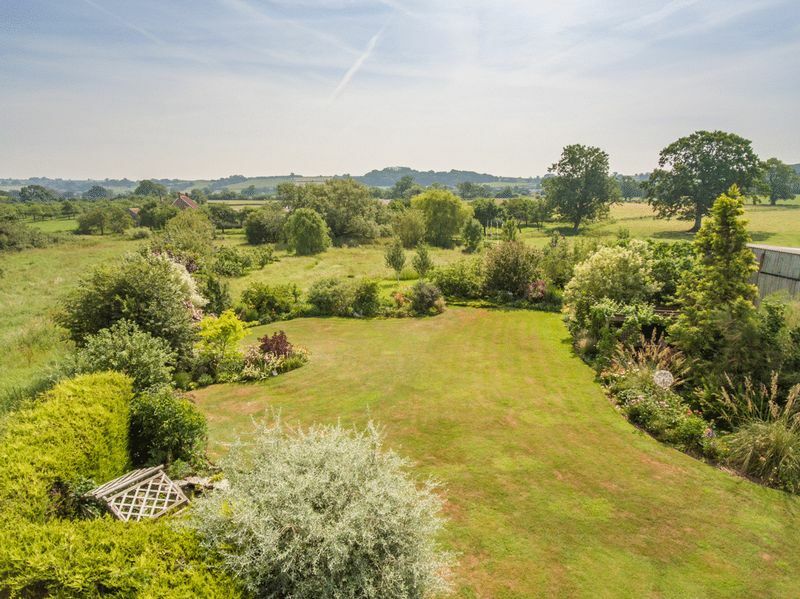 The village is convenient for both state and independent schools including Millfield, Hazelgrove, Bruton School for Girls, All Hallows, Lovington and Castle Cary Primary Schools as well as Ansford Academy. 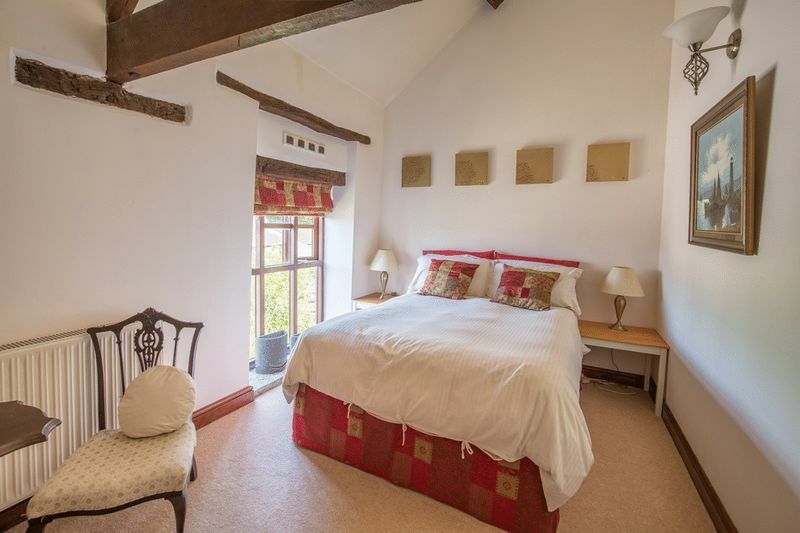 There are many good local restaurants and pubs including “At the Chapel” and “The Roth Bar” in Bruton (10 minute drive away), as well as The Pilgrims Rest, Lovington and The Red Lion in Babcary. 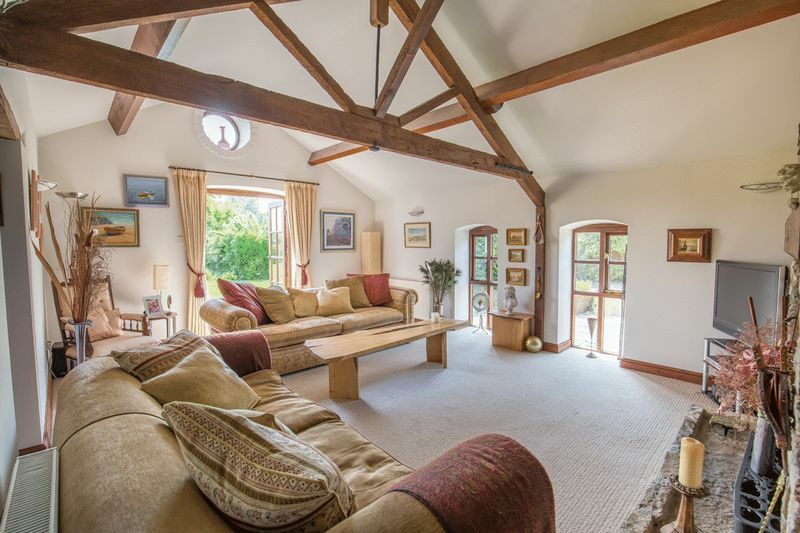 Transport links are good with a mainline railway station to Paddington and the South West at Castle Cary and the A303 is a 10 minute drive away. Please note that the whole village has the same “sat nav” postcode – From Bruton take the A359 south through Galhampton and turn right down Hearn Lane. Proceed approximately two miles, as you enter the village you pass a farm on the left and then turn left when you see two white garage doors. Shute House is the second on the left.